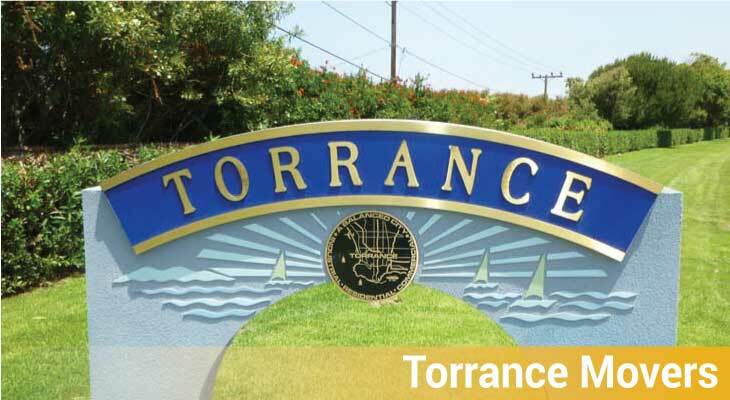 Did you know how easy it can be to get the top Torrance Movers? We’re right here and ready to help you out on your next move. Most movers in Torrance don’t have the level of skills and experience that we do. We take care of everything from the packing, unpacking to assembly, and disassembly processes. All you need to do is let us know how you want your move to go, and we’ll take care of all the logistics and the labor. We treat each of our customers with respect and are dedicated to 100% client satisfaction, which is demonstrated by our perfect rating on Yelp and Google Local. We’re here for all of our customers, so give us a call today and we can set up your consultation! Or if you want, we can come out to inspect your valuables and provide you with a free quote. Making sure that your valuables are insured is important. But did you know that you could be held personally liable if your Torrance movers don’t have the right level of insurance? The state of California has state minimums for moving insurance, and you should check to make sure that the company that you hire meets those requirements. You want a company that is fully insured throughout the whole process, from packing, unpacking, assembly, disassembly, and yes, even storage. Without insurance, you could be making yourself liable. Don’t take the risk. We offer several packages that are all above the state requirement level. Insure your move today! When it comes to moving, you need to ensure that you are going at the right and comfortable pace. Our movers in Torrance know exactly what you need, because we’ve worked so many moving jobs before. Still, even with that experience, we value customer service and while working efficiently, we do not rush our valued clientele. We believe that you should get the moving experience that you want, and you should never feel pressured or rushed. We strive to ensure just that. Let us help you through the entire process, from packing and unpacking to everything else in between. You should be making a choice that you feel comfortable with when it comes to choosing Torrance movers. Your movers in Torrance should possess not only experience, but also great customer service and friendly attitude. We strive to offer you just that, and we want to let you know that we’re here to help from start to finish. Whether you need storage, packing, unpacking, assembly or disassembly, you can count on our team to make sure things work as planned. Give us a call today!